I am a firm believer that it is okay to make mistakes. It is only natural to make them when you learn and try new things. It is also okay if those mistakes turn out to be quite embarrassing and costly. What matters most is that we learn from those mistakes, pay the “tuition fee” (= costs of your mistakes), and then we move on. I made a lot of mistakes in my trading career. I guess that I made almost all the mistakes a trader can do. Here I would like to share with you the most embarrassing and expensive mistakes I have done. The reason I talk about my failures is that I hope that you will learn from them and you won’t do the same stupid things that I did. I paid for them dearly, and there is no need we pay for them more than once. Around eight years ago, I created and fully funded a trading account with a Cyprus based broker. At the time this broker looked solid, reputable and it had many clients. Also, it’s CySEC regulation seemed fine to me. With this broker, I made around +400 % gain on trading swings. During that time I made several smaller withdrawals without any problems. That was until I decided to withdraw a bigger chunk of my money. What happened was that when I logged into the client zone, my withdrawal status said “pending.” So I wrote them a few emails, and they told me to wait. Again and again. So I waited – days, weeks, months. After that, I made all the legal steps I could think of. I don’t want to go in too much detail, so long story short – even the highest regulatory authorities weren’t able to help me! My mistake was to trade with a broker in a country which doesn’t have strong regulation and law support. Because of that, I lost quite a lot of money. I was able to obtain a part of it in the end (after 2 years I think) but not all. What a shame. Cyprus is now recognized as not so stable and a sort of shady-business country, but back then it wasn’t as apparent. But still, it was a mistake to chose to trade with a broker in a country with not so strong legislative and laws. Do you remember when the SNB unexpectedly abandoned its cap on the CHF versus EUR? I remember it very well because I was trading at that time and I took the biggest blow I ever took. I was in a swing long position on the USD/CHF and suddenly there was this enormous, red candle in my charts. My initial thought was that my software went crazy. I didn’t really believe such a move was possible. Then I looked at my open trades, and I was shocked. What I saw was like a trader’s worst nightmare. My SL did not get filled, and the price was moving a few hundred pips below it! When my SL finally got filled, I lost over 12% of my trading balance on this single trade, opposed to the 1.5% I had calculated. All this happened in a matter of seconds. Because I had a bad broker with not so good liquidity providers, I took a blow which was 8 times bigger than my worst-case scenario Stop-loss. After this crazy thing passed, I went through internet articles, trading forum threads, and I discussed it with my friends’ traders. I found out that those who had solid brokers only took slippage on their SL around 15-30 pips (where I took slippage around 200 pips). The only difference between them and me was a different broker! What a shame. Do you think such unexpected thing as the CHF cap removal will never happen again? I think it will, and that’s why having the best possible broker is so crucial! Maybe it won’t be on the CHF; maybe it won’t be on a currency, maybe such a surprise will occur on a totally different asset class. But such things just happen. They are called “Black swans.” Nobody expects them, but they happen from time to time, and they take almost everyone by surprise. Next time I am hit with such a blow I am pretty confident that I will be able to manage. The reason is that now I have a solid broker with good liquidity providers, in a well-regulated country with solid laws (Australia). Correlation measures if two trading instruments move similarly or if they move independently. A big mistake I made in the past was ignoring correlation. In some extreme cases, I was in 3-4 highly correlated trades at the same time. For example, one time I was in 3 highly correlated trades. All of them were in a nice open profit. Then there was a sentiment change in the market, and I found myself with 3 heavily correlated trades. Now all were in red numbers! So, with those 3 trades I was for example +6% in open profit, and after the sentiment changed, I ended up -8%. There is a 14% difference between +6% and -8%! All this because of correlation. Crazy right? Now I mind the correlation much more. I am okay to take 2 correlated trades, but I don’t enter more than that without proper adjustments. If there are for example 3 heavily correlated trades that I would like to take, then I take all those trades but with position volumes lowered by -33 %. This way I can take all the trades I want to without exposing myself to excessive risk. It is also important to be careful of the strong negative correlation. If you are in a long trade on the EUR/USD and short on the USD/CHF (strong negative correlation), then it is the same as if you were in two long positions with two highly (positively) correlated trades. 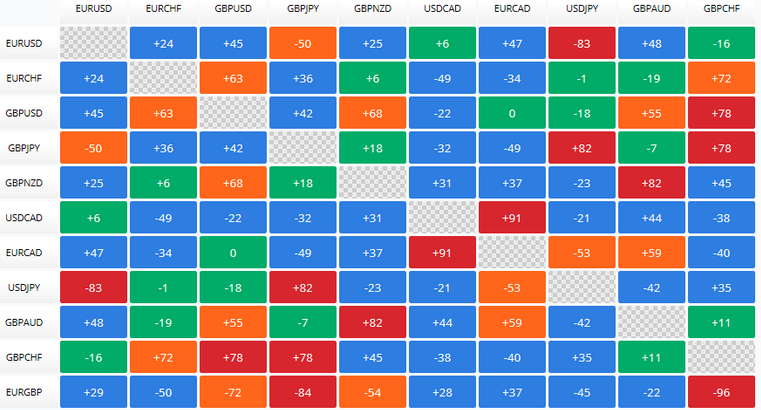 You can find an interactive correlation table for example HERE. Around 7 years ago a friend of mine created an Expert Advisor (EA) to trade automatically on Metatrader for me. We tried it for a brief moment on a demo, but that was nowhere near proper testing. I was just too eager to trade with the EA, so I ran it on my real account. In the middle of the night, this frickin EA started to place random 10 lot trades! I was super lucky because I stayed up late that night and all this happened just when I was about to go to sleep around 3:00 AM! Imagine if I had gone to bed! Who is to blame for this? I could have blamed the EA or the person who coded it, but I realized I was the one who made the biggest mistake. I was the person who wasn’t disciplined enough to give the EA a proper testing. Now, I always use a special 5-step testing approach before trading some strategy (or EA) on my trading account with standard position sizes. I was doing this crazy thing when I was a trading newbie over a decade ago. When there was a sudden trend movement, I just wasn’t able to hold my horses, and I used to jump in the direction of the movement. It was a psychological thing – I wasn’t able to handle the fact that the price is moving rapidly, with ‘everyone else’ making money on it, except for me. So I jumped in, without any money management and without any plan of what I should do next. You can probably guess how such trades ended right? Usually, the price turned against me, and I ended up in a loss. There were also trades that went nicely in the direction I anticipated. The problem was that I didn’t have any plan. When all went fine for me, I got greedy and refused to quit the position. So I held it, and eventually, the price turned, and I was again in red numbers. I stopped this silly impulsive trading a long ago, but before that, I lost quite a lot of money doing it. I once met a guy who won some small trading contest. I talked to him, and he seemed like a good trader. This was quite a long time ago when I was still a quite inexperienced trader. I guess I wasn’t really able to tell if he was really good or not. So, I gave this guy around 20% of my trading budget to trade it for me. Guess what? Two days! Two days and all was gone. Never give your money away like this. I am sure that in 95% of cases you will end up just like me. It is much better to trade your money yourself. Even if you think somebody is better than you. Chances are he isn’t. This person will also probably trade pretty irresponsibly. If you pay him a percentage of the gain he makes, he will trade aggressively. That’s just how people behave. They try to make big gains quickly, and they are willing to undertake enormous risks. Risks that you would personally never take if you were managing your trades yourself. I was investing in the Brazilian economy through a special type of investment certificate (Bonus Investment Certificate). 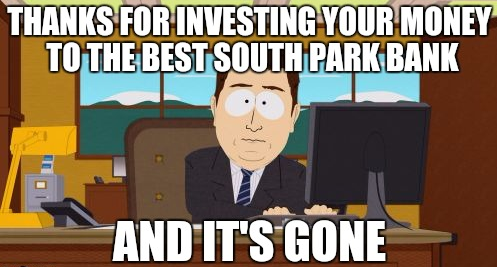 It was a long-term investment that I held for quite some time (2-3 years). Everything went nicely according to the plan. 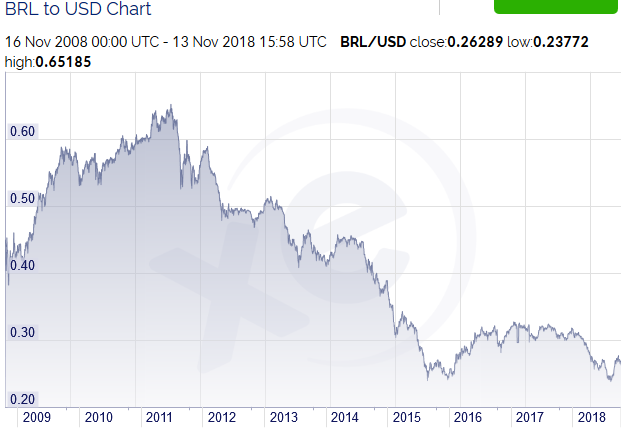 What I didn’t realize at first was that my investment was denominated in Brazillian Real (BRL) currency. In the time I held my investment, this currency depreciated by unbelievable 30% (from 0.60 to 0.40). This was why I got 30% less from my investment! The lesson from this is: Always secure the currency of your investments. Especially if you have long-term investments as I had. This also applies for currency trading. If you have your trading account denominated for example in USD and your country’s currency is EUR, then when USD weakens, your gains will be smaller. There is a quick fix to that. You just need to open a small long-term position in your trading platform. It will serve as a hedging position. 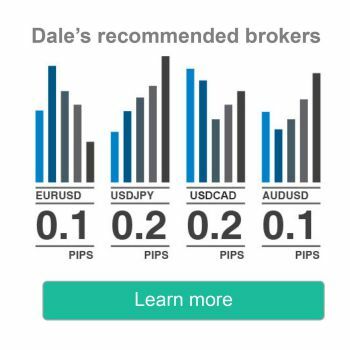 If you want to secure your account against the weakening of USD, then enter a small long position on the EUR/USD. This way if the USD weakens, your EUR/USD long position will gain, and your account will be secured. Needless to say that such hedging works both ways. You secure your account’s currency against depreciation but also against appreciation. A 0.1 lot long position on the EUR/USD will hedge a whole $10,000 account. Before you do that though, you need to check your broker’s swap rates as they can significantly affect the outcome of this hedging strategy. *Different brokers have different swap rates. I would absolutely love if you guys shared some of your embarrassing and costly mistakes in the comments below! Don’t be shy. Learning from mistakes is what moves us forward! P.P.S. I have just released a new book: VOLUME PROFILE: The insider’s guide to trading. I put a ton of work into it, and I am sure it will prove extremely helpful to you. Go and get your copy HERE. I guarantee you that this will be the best $4.99 you ever spent. One of my biggest mistakes was once when I wanted to trade the DAX. I was waiting to go long on a certain level. I already got stopped out 3 times and was willing to accept a 4th time as I was pretty sure that it will eventually turn to the upside on that certain level. But due to overtrading I was already so nervous that I put the wrong number to buy on that level. At that time I normally traded the DAX with a stop of 10 points, but this time as the market moved very volatile I wanted to adjust it to 20. Now it comes! But instead of adjusting my SL to 20, I put the number of contracts to 20. Off course, i got stopped out within a few seconds as a 10 point stop didn’t hold. But instead of having a small 10 point loss with 1 contract, I had a HUGE loss of 10 points by 20 contracts. I got really mad at myself that day and was willing to stop trading. Fortunatly I kept on and improved. So this wont happen ever again to me! Btw, you are doing a great job here! Yes those mistake are years of experience…I live the how to protect yourself from currency depreciation…very cool really.. So my mistake was to use indicators..solution: remove ALL individual atores and just use price and volume…Dale s way I think is a very good approach..also learn to read naked price charts…like learning how to read…observe observe… observe…observe . I took a 50,000usd loan and blew it on forex from not following a plan and trading emotional with bad risk management. I am still struggling to pay it back and I have given up on trading many times. Now I am breaking even on my trading and still have problems with it. However breaking even is better than loosing so I heard I am going in the right direction. But 50.000usd is very shameful still I am after 4 years feeling bad about it and my Dream to quit my dayjob was lost. But I will not give up! That is a costly mistake buddy. Good lesson though – don’t trade with borrowed money. I guess you learned it the hard way. Thanks so much for sharing! Working your way up from losing into BE is a GREAT step! Congrats on that. You are clearly making good progress!